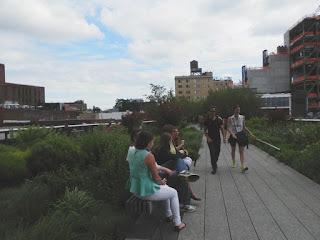 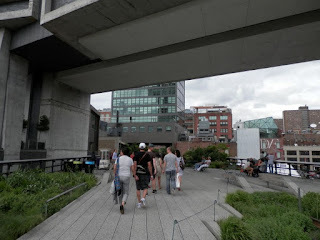 I went into the city today to join the group at Highline Park. 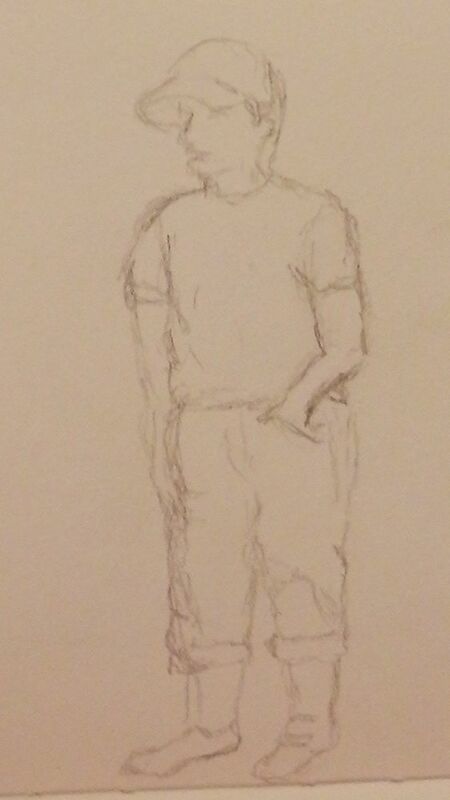 On the subway ride in I did a quick pencil sketch of a commuter. 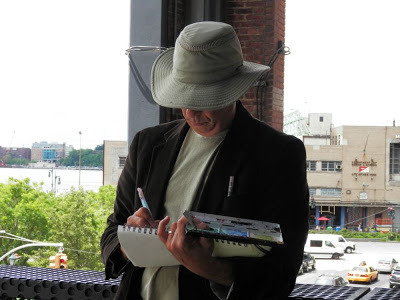 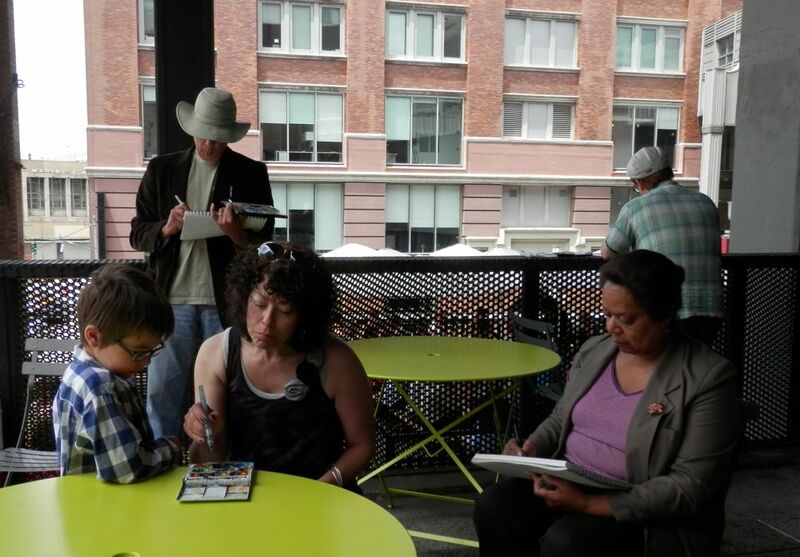 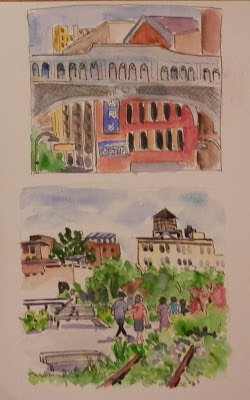 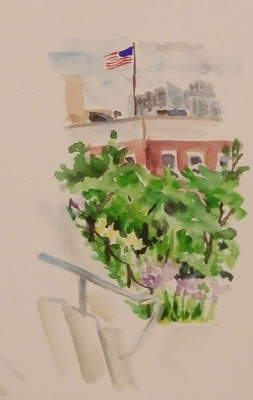 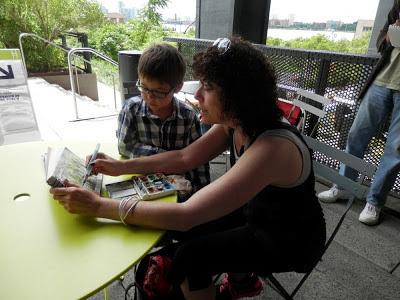 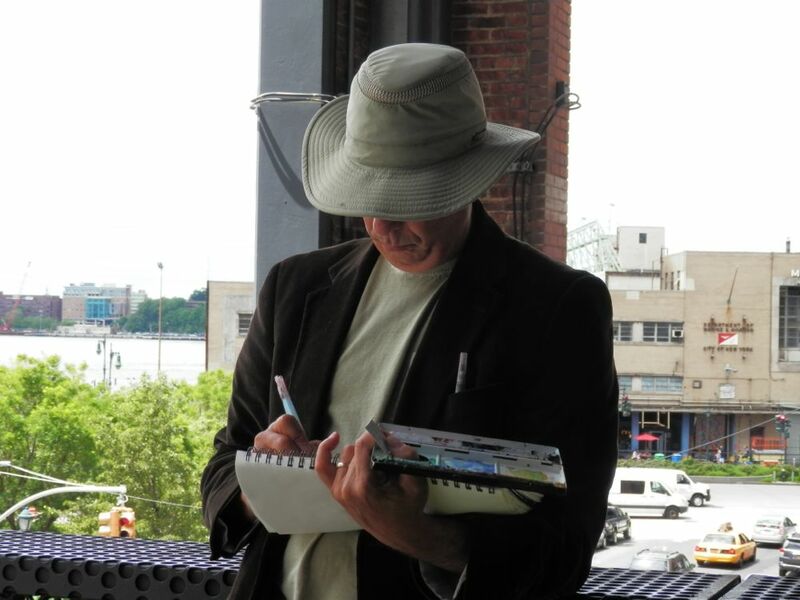 Highline Park in Chelsea had a lot of great spots to sketch. 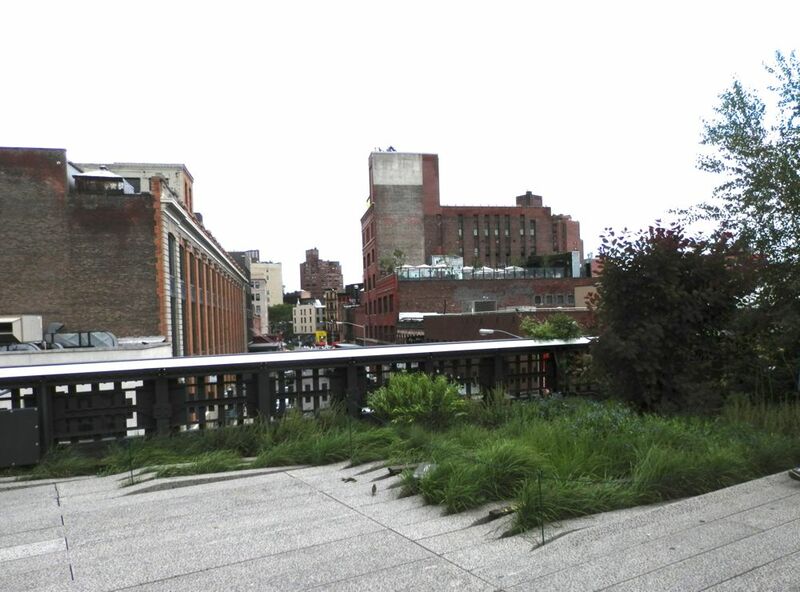 It is raised above the neighborhood so there are views of the buildings and streets as well as the river views. I was able to get quite a few sketches done even with the crowds of people passing by. 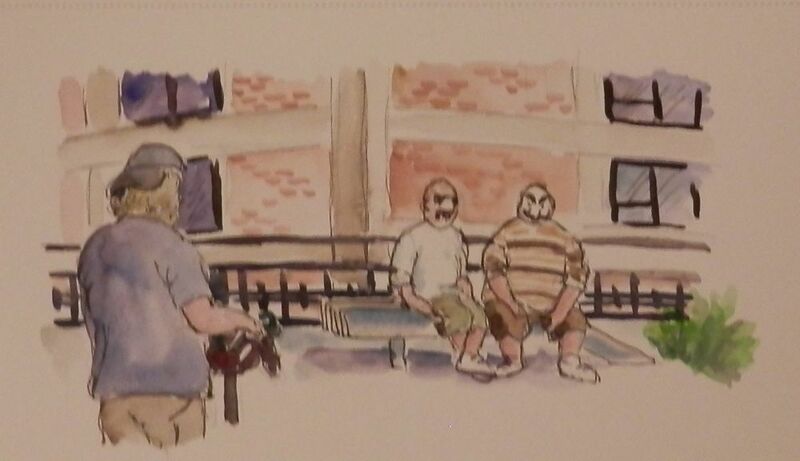 At one point we came across some kind of film being shot. I don't know what it was but the characters had their faces painted white and black. 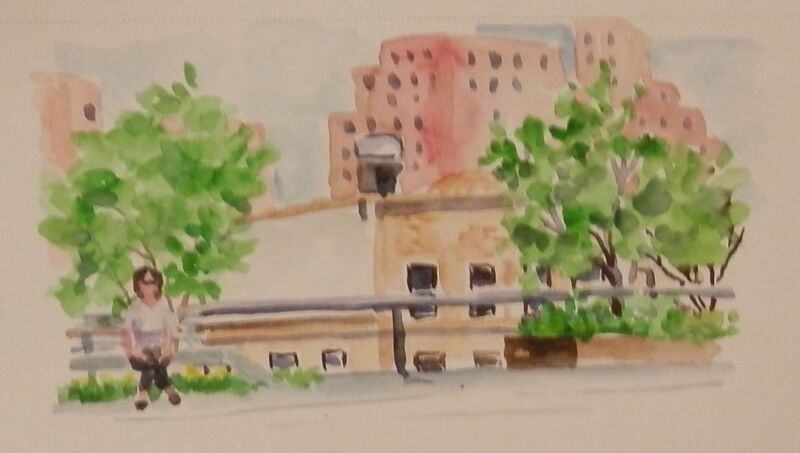 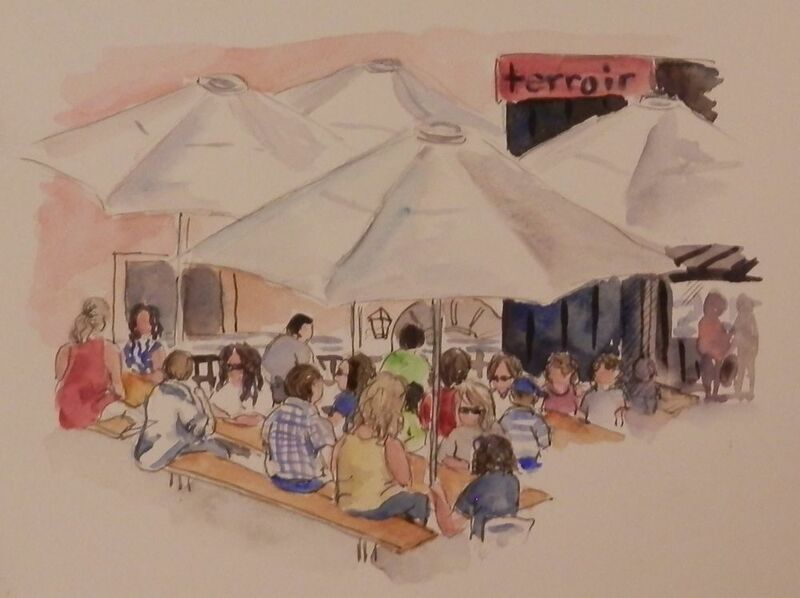 In the same area I did a sketch of one of the outdoor restaurants. And views of some of the buildings and people. 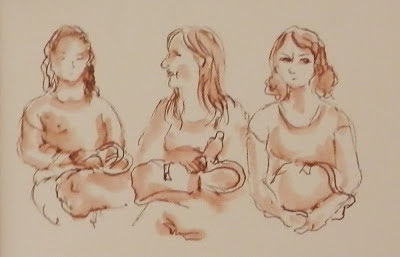 On the subway ride back I sketch a few of the ladies across from me. My two favorites were the view of people eating in the restaurant under the umbrellas, and the sketch of the three ladies on the train ride home. 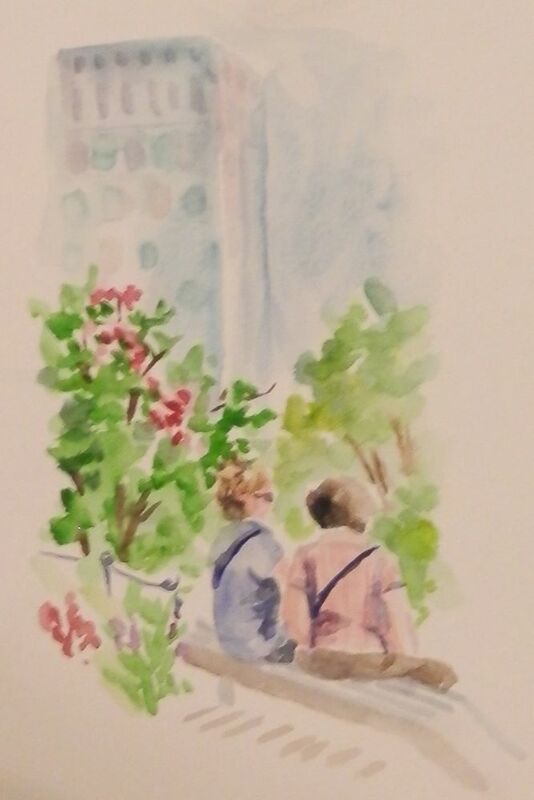 Wonderful work Joan.